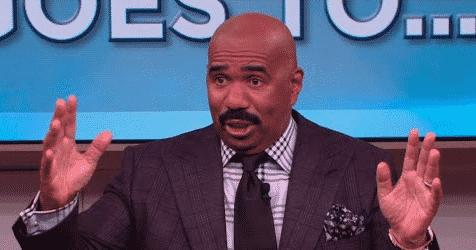 Earlier this year a nasty email from Steve Harvey warning his Chicago film crew not to approach him in hallways or enter his dressing room without an appointment leaked online. “I was OK until I saw it on CNN and that’s when I knew I was in a lot of trouble. The email was out there and it wasn’t a big deal to me at all. Next articleIs Deion Sanders Wishing Ill Will on Son Shilo?? I believe the real reason why Steve Harvey visited Trump was so he can get more work for himself. This man is the host of several tv shows. Many of those tv shows are broadcast on NBC, the tv network that Trump used to work for. Trump has NO PULL @ NBC & the shows he is doing are co-produced with Ellen dumbass! What I don’t like is how he has become the face of tv. Black folks were riding with him when he was an unknown king of comedy. Now he’s making white folks laugh – but are they laughing with him or at him! I WANT TO THROW SOME “ABC” GUM IN HIS MUSTACHE, REAL-REAL-REALLY HARD…..